Time for a Sea Change? We are Hiring! Servicing, repairing and building all types of bikes in a careful and efficient manner. Assisting customers with bicycle & accessory sales and service enquiries. Maintaining the workshop, including cleaning, re-stocking and merchandising. Organise, lead and participate in various shop rides and social events. Answering phone & email enquiries. Have at least 2 years bike industry mechanical experience? Possess great bike mechanic skills? Have solid bike product and technical knowledge? 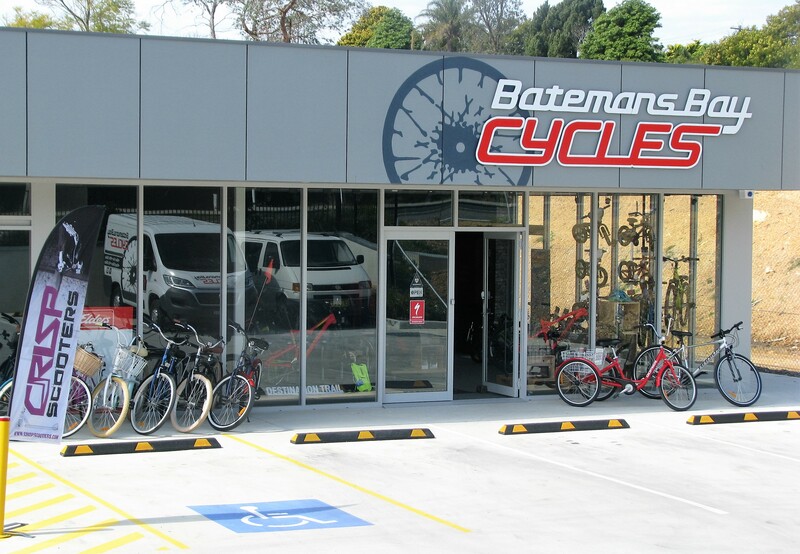 Batemans Bay Cycles is located on the Eurobodalla South Coast, 4 hours south of Sydney & only 2 hours from Canberra. The south coast region has a diverse range of riding destinations suiting all kinds of riding. Our current favourites include amazing off road trails, gravel roads for hours, roads with many hills & sweet south coast surfing. Housing is booming in the area & the schools are fantastic. Due to our continued growth, we are seeking an experienced and enthusiastic Full/Part-Time Bicycle Mechanic/Retail Assistant to join our friendly team. Competitive salary package with above award wages. Fantastic work environment and coast lifestyle.